Vilamoura, Portugal, offers a wide range of restaurants that will absolutely satisfy your stomach and give you the kind of food variety you’ve always craved for. But while you course through the town’s food hubs, you should include in your itinerary a visit to Ancora Restaurant, where you will find a fabulous selection of mouth-watering fish dishes and authentic Portuguese cuisines. Ancora Douro Restaurant is found above Marina “square”, where restaurants sit one after another. Each restaurant in the square has its special offerings, but you should definitely try Ancora because of its high-class cuisines. Ancora Restaurant may seem smaller than the others, but if you are the type who got the knack to spot good food, you will find that it is one of the best go-to food places in Vilamoura, or even in Portugal as a whole. Guests have frequented to order Ancora’s special fish meals, steaks and chicken dishes. For a starter, you can try the restaurant’s special sardines, and then have chicken kebabs, steak on the stone, and sea bream fillet with asparagus or sea bass for the main dish. To make your dining experience more enjoyable and memorable, complement each meal with Ancora’s house wine or jugs of sangria. The servings are big enough for those with very good appetite; but still ensure you have enough space for dessert because the restaurant has some really good confectionaries. 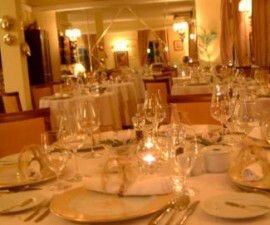 As to the presentation, you will see that the cuisines in Ancora are well worth your food blogs. From the menu to the actual serving, Ancora’s cuisines look very delightful to the eyes. 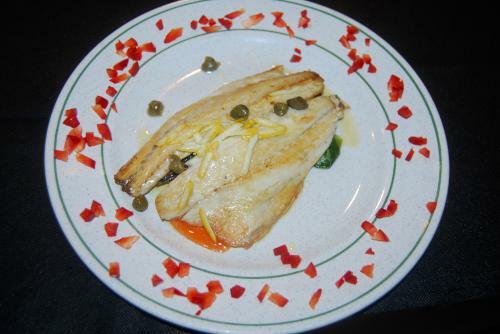 And the food’s presentation is as good as its taste, with every cuisine well-prepared and cooked to perfection. When it comes to customer service, it would be a tough thing for you to find a restaurant that could match the warmth and intimate service offered at Ancora Douro. The restaurant’s owner, Eduardo, is really hands-on in managing the restaurant. 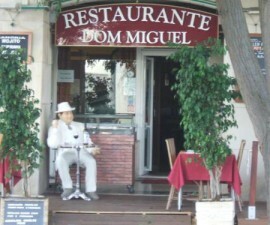 Guests remember him very well as the restaurateur with a good sense of humour. He guides customers in choosing cuisines as well as helps them in deciding which wine to order. The rest of the staff follows Eduardo’s example, so you will see everyone smiling all the time. Hospitality is well-felt in Ancora, something that would really add to the good memories of your vacation at Vilamoura.